Snake oil no more, biostimulants have had the scientific proof to back them up for some time now and are breezing by biologicals in growth. Instead of using products like seaweed — which captures about 35% of the $1.8 billion biostimulant market — to merely spice up other products, businesses are creating value expressly through them, says Roger Tripathi, president of Acadian Seaplants Ltd.’s plant health division. Now for the next step: integrating them into the value chain so end users have access to them in the most economical way possible. 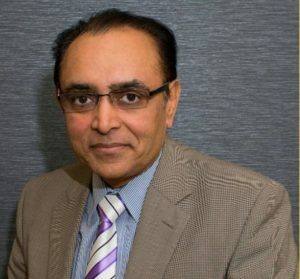 Roger Tripathi, President of Acadian Seaplants Ltd. The U.S. and Australia are out of the ordinary because biostimulant distribution is controlled by the big retail chains such as WinField. In other regions, the distribution chains for fertilizers, crop protection, or seed are frequently utilized. For Acadian’s plan of attack, it has decided on a custom strategy for each country. For example, it works with CPS in California, United Suppliers and WinField in the Midwest, and Wilbur-Ellis and others in other areas. China is divided into 10 regions, and for each of those Acadian is choosing distributors, some of which are stronger in the fertilizer and nutrient side of the business, while others are multi-product distributors. As far as what the future holds for biostimulant distribution, biostimulants are becoming an integral part of the integrated crop solution approach. “If multinationals such as BASF, Bayer CropScience or Syngenta are trying to sell a full solution for a particular crop to the farmer through the chain, we want to be a part of that.” Acadian is also developing its own full range of unique specialized bionutritional products and will promote these new solutions to help growers manage abiotic stress and mitigate biotic stress. “It’s being driven as an integrated crop program approach. That’s what I’m trying to do at Acadian: I’m trying to bring a seed and soil health product, foliar nutrient range and also a pre/post-harvest solutions, targeting specific farmer needs,” he says.